The findings of the study were presented at the World Stroke Congress on October 19 in Montreal. The findings don’t prove that cannabis use causes stroke, said lead author Dr. Krupa Patel, a research physician at Avalon University School of Medicine in Willemstad, Curacao. It only means there is an association between the 2, in this study. Patel said it’s also unclear whether only pot smokers had a higher risk of stroke or if that risk also applied to people who ingest cannabis in other ways. It may depend on how much marijuana was used and whether or not the marijuana was mixed with other psychoactive substances. 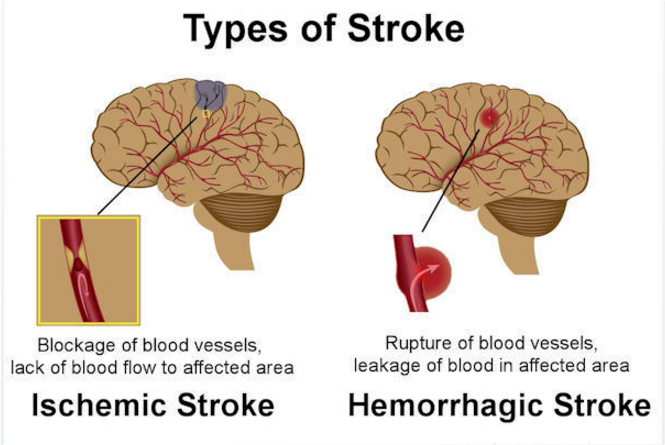 Also, the risk of stroke may have been amplified in people with underlying conditions that already predispose them to that risk, such as diabetes and obesity. What’s more, the researchers couldn’t tell from the data whether marijuana users also engaged in other unhealthy habits that might influence stroke risk, such as smoking or using other, more dangerous illicit drugs. So, does pot use lead to poorer health, or were many people in the study unhealthy to begin with and they just happened to also use marijuana? The only way to find a definitive answer is to conduct clinical trials. CT scan of the brain (does not depict actual brain scans from the study). The study, which looked at more than 2.3 million recreational marijuana users who were hospitalized, only found that the risk of stroke was higher in that population than in non-users. But it is worthwhile to mention that Patel’s previous research showed that between 2010 and 2014, there was a steady rise in strokes among cannabis users, even though the overall stroke rate remained unchanged. In the current study, more than 32,000 marijuana users suffered a stroke, and 19,500 of those were ischemic strokes. Over 5 years, the rates of all types of stroke increased from 1.3% to 1.5% among marijuana users, and the rate of ischemic stroke rose from 0.7% to 0.9%, the study found. No age group was immune from the increased stroke risk, either. The same was true whether the marijuana user was 18 or 80. Healthcare costs for these patients also increased from 2010 to 2014, from $71,000 to $92,000, according to Patel. Reasons to Suspect a Direct Link? While the marijuana advocacy group NORML conceded that the data on this subject is evolving and that pot smoke can cause a cardiovascular response, the group was quick to point out that the findings of the study don’t seem to align with findings from other similar studies. He acknowledged that pot users with a history of heart disease or stroke may have an elevated risk of experienced adverse side effects from marijuana, particularly if they smoke it. If you’re a marijuana user or you’re just pro-weed, you might be quick to dismiss the study. 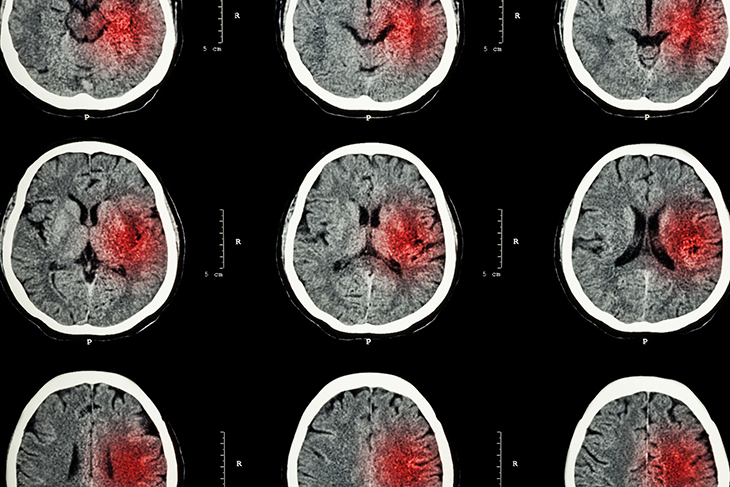 But it’s not beyond the realm of possibility that marijuana can increase the risk of stroke. Patel explained that in studies of rats, THC exposure has been shown to induce cerebral mitochondrial dysfunction in a dose-dependent manner. The higher the exposure, the greater the dysfunction. Furthermore, histologic studies (studies of the anatomy of cells and tissues in plants and animals under the microscope) have reported stenosis (abnormal narrowing) in cerebral arteries. Let’s look at how this might have at least a little bit to do with stroke risk. Thrombotic stroke is caused by a blood clot that forms in one of the arteries that supply blood to the brain. Embolic stroke occurs when a blood clot or other debris forms away from the brain – usually in the heart – and travels through the bloodstream and eventually lodges in narrower brain arteries. Intracerebral hemorrhage is a result of a blood vessel in the brain bursting and spilling into the surrounding brain tissue. Subarachnoid hemorrhage is caused by an artery near or on the surface of the brain bursting and spilling into the space between the surface of the brain and skull. Marijuana use is also associated with higher levels of serum apolipoprotein C-III. Elevated levels of apolipoprotein C-III can cause higher-than-average triglyceride levels, leading to cardiovascular disease. But, again, it’s not clear if marijuana use thrusts these levels upward, or if some other lifestyle behavior that is common among pot users is to blame. No, telling your doctor that you use pot won’t get him or her to dial the police.